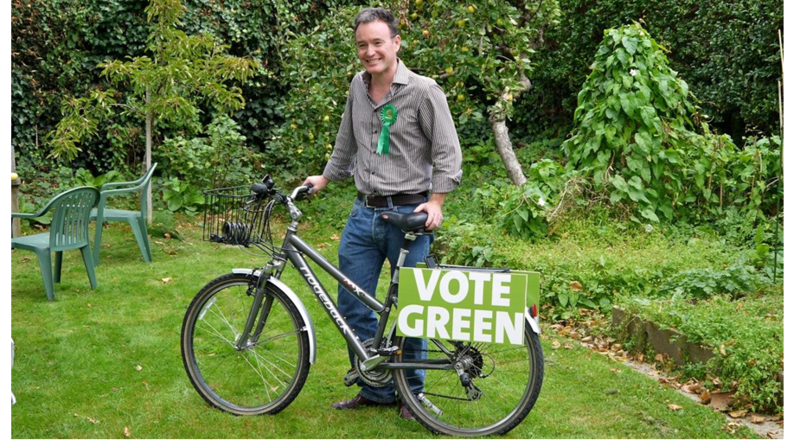 So Michael Welbank, the Chairman of the Hampstead Heath Management Committee and Member of the Corporation of London's Court of Common Council, thinks the Green Party should be "one the Corporation's biggest supporters" (“The city and corporation”, Camden New Journal, 17 November). Well, we're not. Far from it. We see no reason for the City of London to be governed differently to any other part of the UK. Elections to the Corporation are not conducted like normal elections. There are no parties or programmes to vote for – only shadowy individuals. In no local authority in the country do businesses get a vote unless their owners are also residents. The 34,000 business voters in the City far exceed the 9,000 residential voters. To qualify for a business vote you need to be a sole trader or a partner in an unlimited partnership, or you need to be appointed by a City business or organisation. To quote George Monbiot - it is a “plutocracy, pure and simple”. It’s hard to take Michael Welbank seriously when he claims that the Corporation takes reform seriously. It managed to wriggle its way out of democratic renewal in 1835, 1894, 1963 and, most outrageously in 1969, when the rights of businesses to vote in local elections was abolished everywhere in the country except in the City of London. And the 2002 reform of which Mr Welbank speaks so highly dramatically increased the business vote. The Corporation is also the only “local authority” in the country that is not accountable to Parliament. Not very democratic all that. 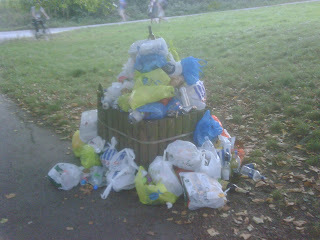 As for recycling – Mr Welbank, you should be ashamed to claim that the Corporation is any good at it. You only have to go to Hampstead Heath on a beautiful day to see rubbish bins all over the Heath piled high with waste that could mostly be recycled. I and others have tried to persuade the Corporation to stop using polluting diesel vehicles on the Heath. Not so long ago the Corporation proposed building a new road through the bottom of the Heath. Not very green all that. So no, we’re not the Corporation’s biggest supporters. We want the City of London to be run by a normal council operating under the normal laws of the land, and Hampstead Heath to be a public park run by the local council so that local residents can have a say over what happens there. The Corporation of London is one of the most significant private lobbying groups in the UK. It is an old boys' network that is almost impossible to join. And it presides over a Square Mile of gambling, excessive risk taking, profiteering, tax evasion and law evasion. Like the Chair of the Financial Services Authority, Lord Adair Turner, we see little social value in most of what the City of London does, and even less in its lobbying arm, the Corporation of London. 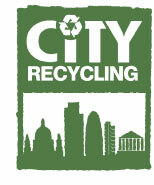 So let’s recycle the Corporation of London – recycle it into a democratic local authority which is subject to the law like the rest of us. And whilst we're at it let's begin the business of cleaning up the City of London and recycle all those gamblers, profiteers and spivs into more useful members of society.